The Neptune was supposed to be the leading ship of a brand new class of dreadnoughts but the two others were so heavily modified that they ended in a new class, the Colossus. 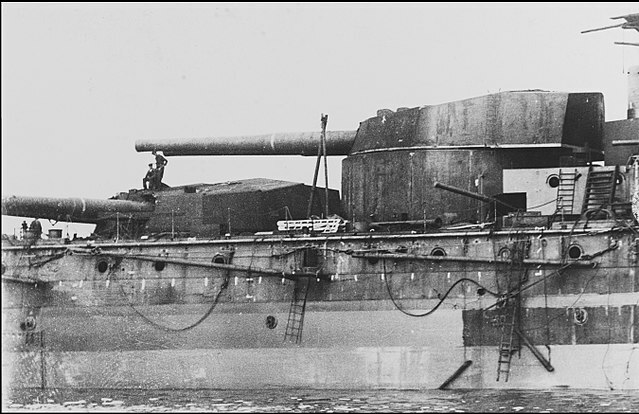 The main difference resided in the artillery disposition, with two wing turrets staggered en echelon so that all five turrets could shoot in broadside. However this was only in theory as the blast damage to the superstructure and boats would have been quite important at each volley. The other improvement concerned the superfiring rear turrets (on the previous series, both were at the deck level), that allowed all four turrets to fire in retreat. It was even the first Royal Navy ship to have this disposition, but there was a limitation though, as the upper turret could do damage the lower one through its sighting hoods when traversing within 30 degrees of the stern. 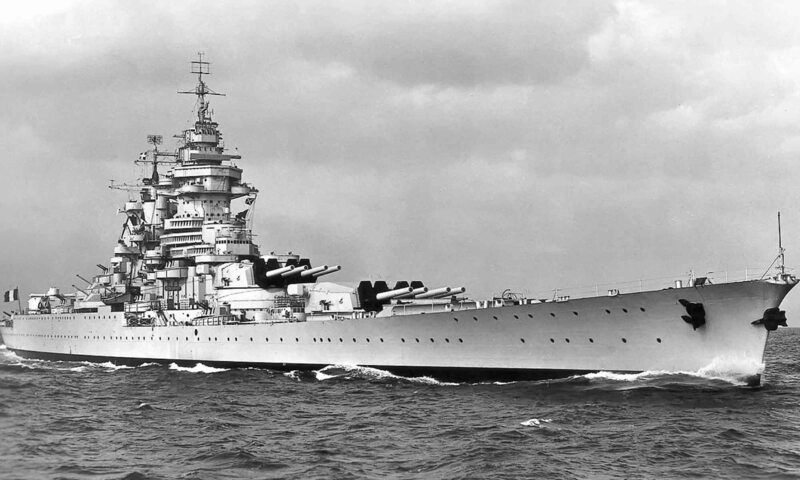 The Neptune also introduced the first director gun-control which was heavily tested in trials and subsequently adopted throughout RN battleships. 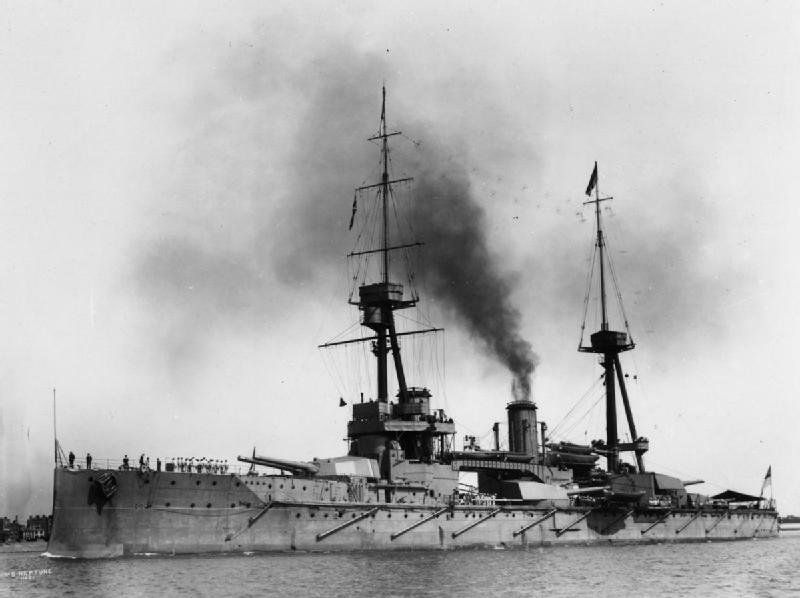 The HMS Neptune was ordered in 1908, laid down at Portsmouth Dockyard in 19 January 1909 and launched on 30 September 1909, and eventually commissioned on 11 January 1911 under Captain Vivian Bernard command throughout her carrer. She was flagship of the Home Fleet May 1911-May 1912 and then was transferred to the 1st Battle Squadron, remaining there until June 1916, after the Battle of Jutland (She took part in the Battle of Jutland as part of Admiral Jellicoe’s Battle Fleet, credited with some hits on the German battlecruiser Lützow). In April 1916 she was rammed by accident SS Needvaal but did no deplore any serious damage. Armor Belt 250, Bulkhead 130, barbettes 230, turrets 280, conning tower 280, bridge 75 mm.